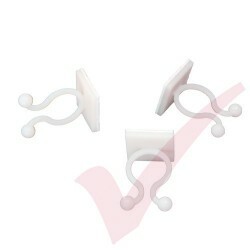 Self Adhesive Cable Bases - ideal for securing/routing fibre or other lightweight cables in to cabinets and racks. 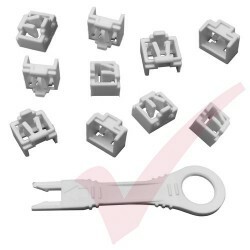 Panduit RJ45 Port Blockers are a cost effective lockdown solution. Available in Red and Blue with a universal key. Prevent tampering and damage to your network ports by adding a layer of physical security. 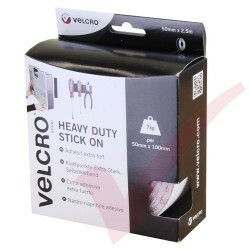 Popular product within retail POS environments, Schools, Government and Conference Rooms. Available for immediate next day delivery. 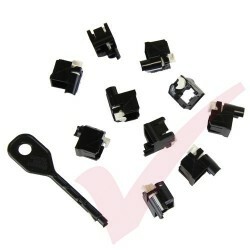 RJ45 Jack Locks provide extra physical network security. Available in Red, Green, Yellow and White, each with their own proprietary type of key. Prevent tampering and damage to your network ports. Popular product within retail POS environments, Schools, Government and Conference Rooms. Available for immediate next day delivery. Dress Cat5e and Cat6 cables in half the time! Easy to use with no more twisted wires and wasted time. 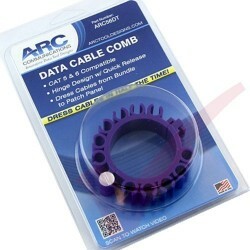 Create professional looking cable bundles in no time. Release hinge design to quickly add cables to existing bundle. 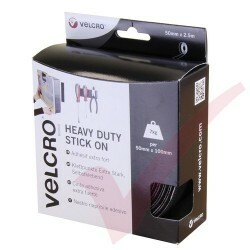 Ideal for tidying Server rooms, networking closets and patch cables. 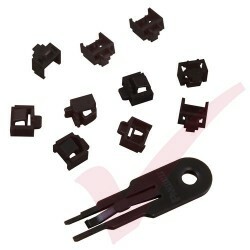 Panduit RJ45 Lock-inDevices are a cost effective lockdown solution. 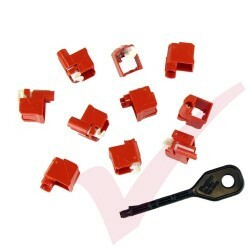 Available in Red and Black with a universal key. Prevent tampering and damage to your network ports by adding a layer of physical security. Popular product within retail POS environments, Schools, Government and Conference Rooms. Available for immediate next day delivery. 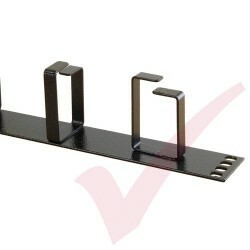 Rack Studs - the new smart rack mounting system. No more frustration and fighting with cage nuts. Simple system that is quicker to insert, install, remove and reuse. 100x units per pack, 3 parts per unit. Immediate next day delivery from local stock.